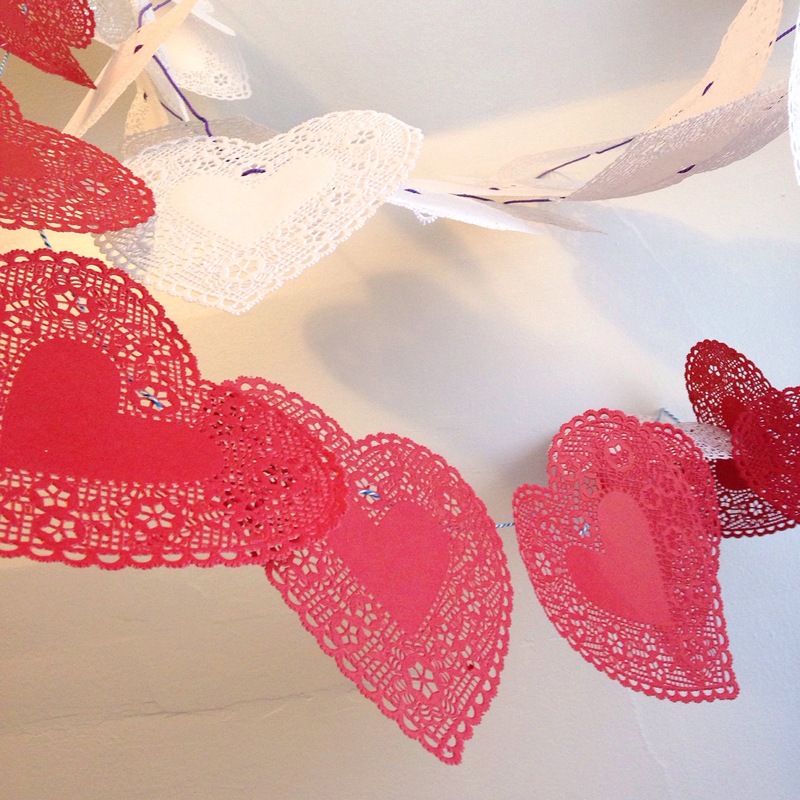 Valentine’s Day Doily Garland DIY! Happy Friday! I have the day off today because of the SNOW! First snow day of the year! Whoo hoo! 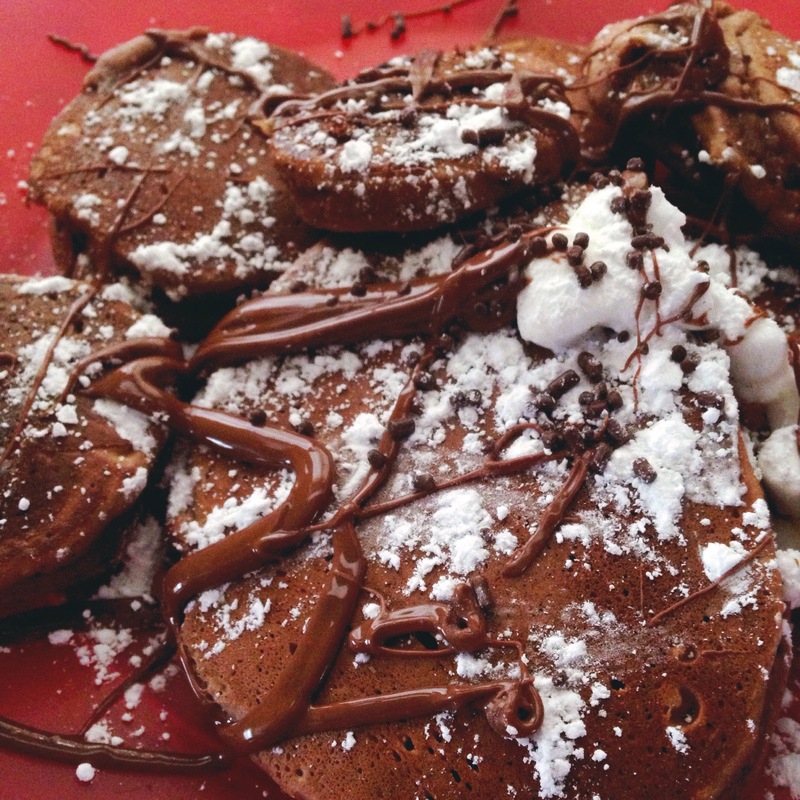 This morning I made hot chocolate pancakes. They were delicious! I’m not going to post the recipe, but you can click on the link to check them out. So anyways, since I’m trapped in for the day, why not do a fun craft? Valentine’s Day is only a week from Sunday! 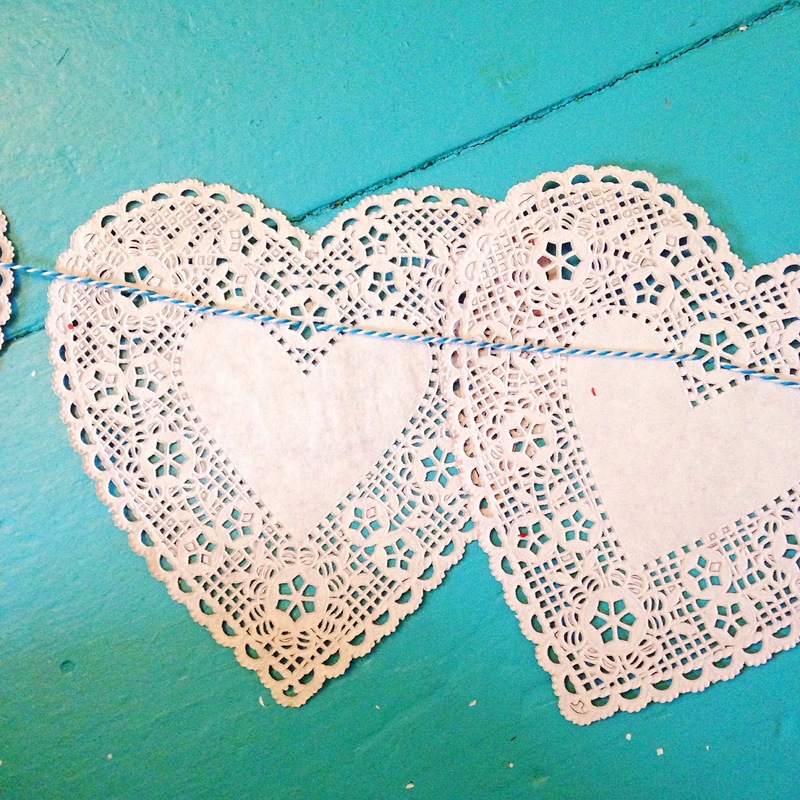 I found some doilies in my room, and I had some twine too. 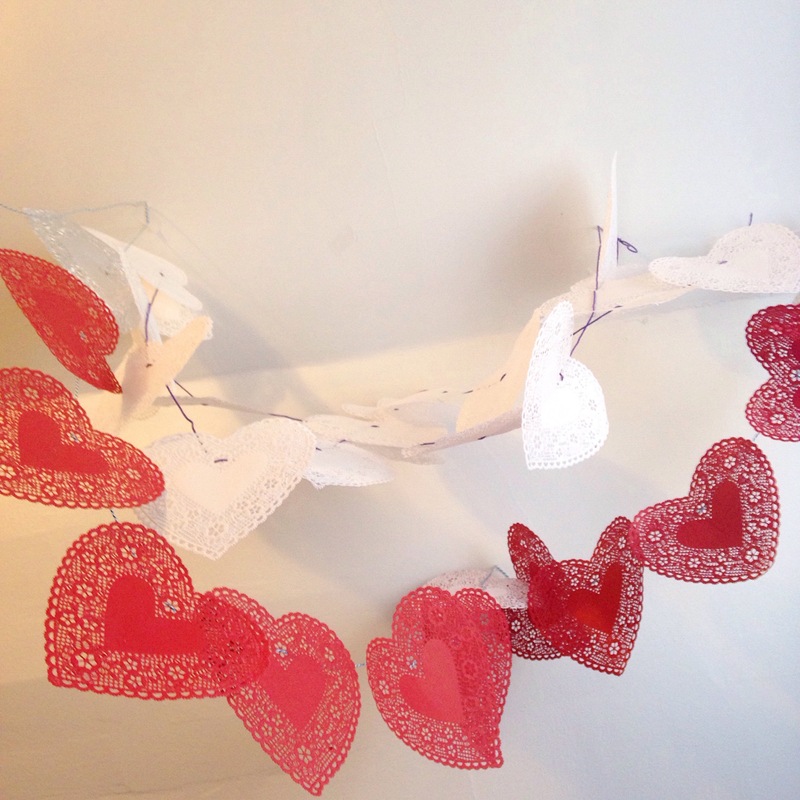 I love love loooooove garlands and I think they’re so pretty and fun. So, without further ado, here’s the FIRST Studio Josie craft! 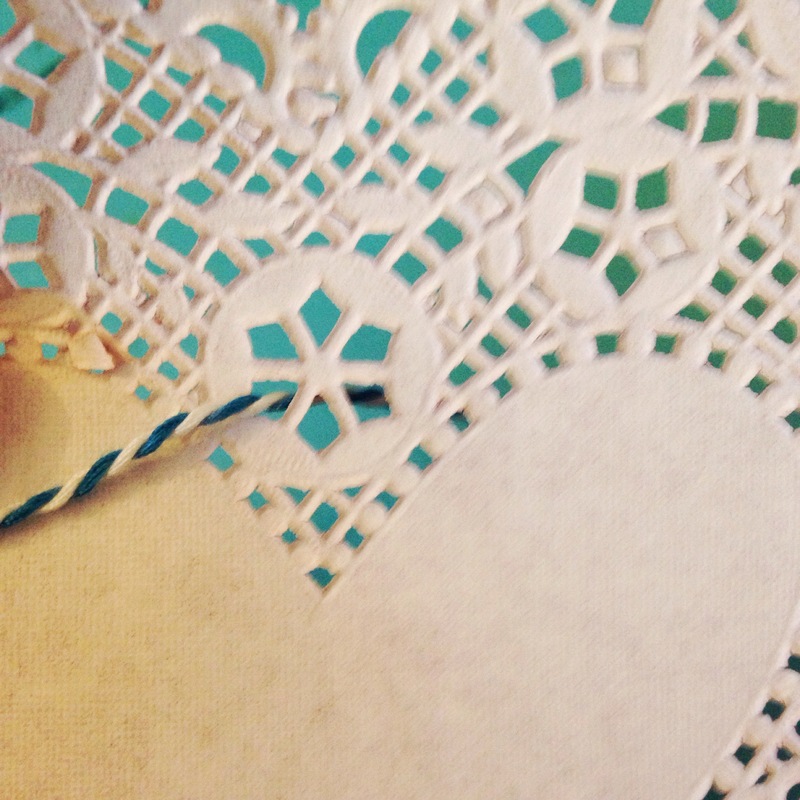 Turn the doily around so that you can’t see the color. 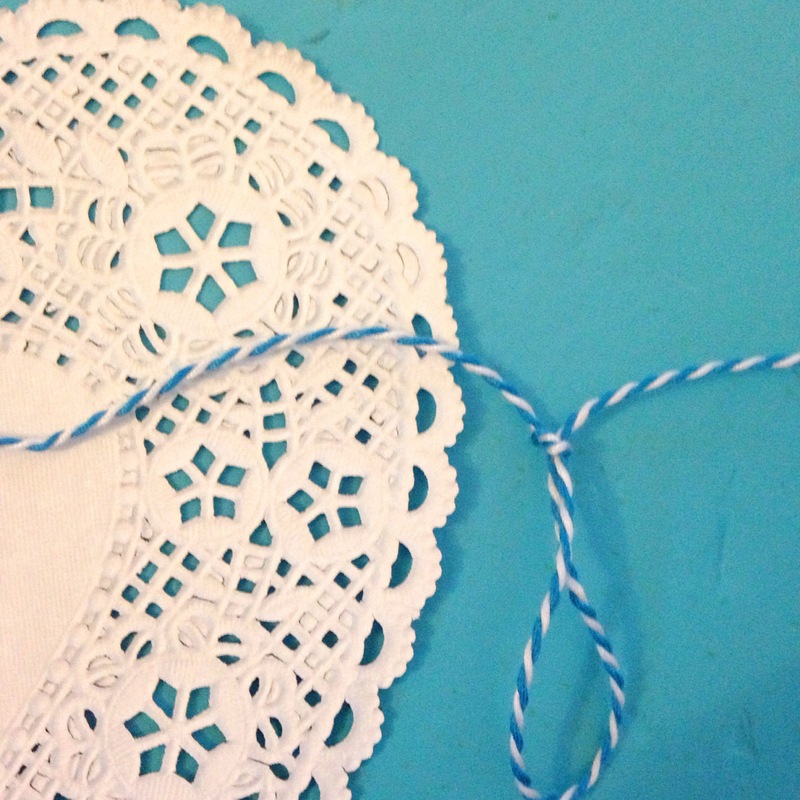 (If it’s white it won’t matter which side) Thread the twine through one of the holes in the doily. 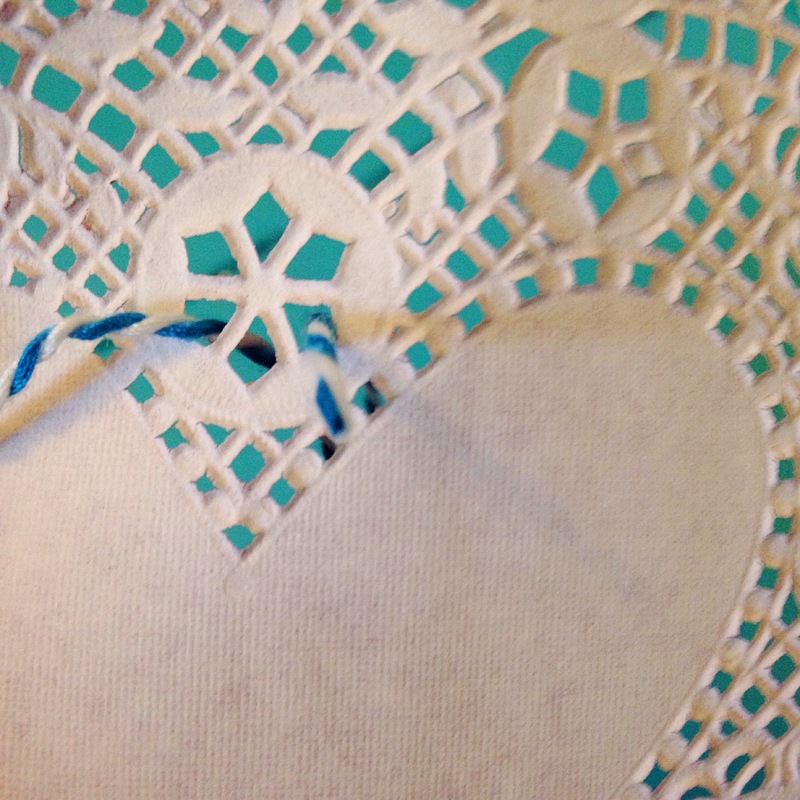 Then, thread it through the other side. 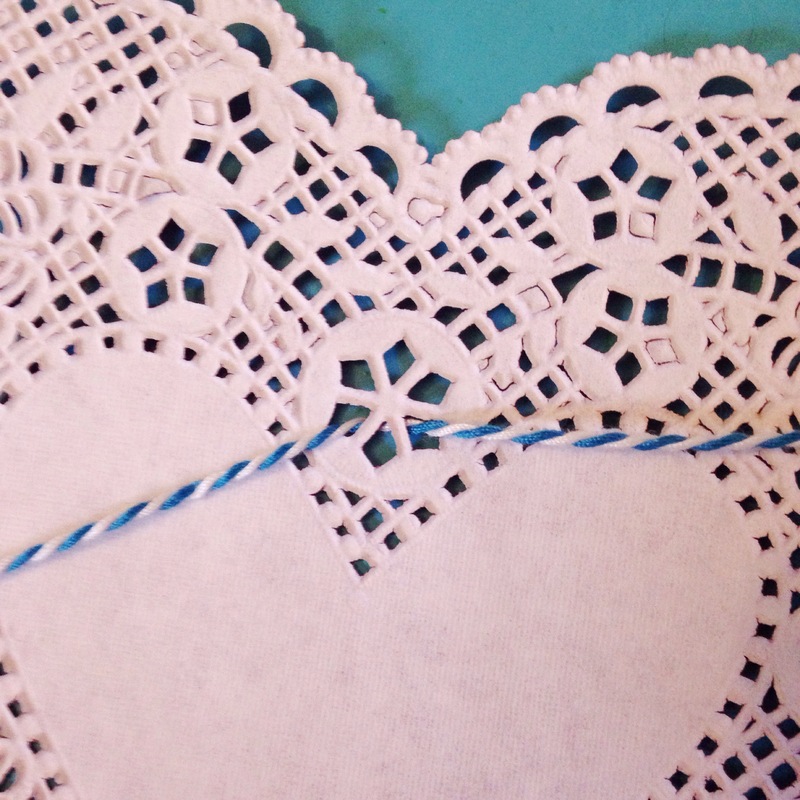 Continue doing that with all of the other doilies. I tied a little knot on the first and last one to keep them secure. Find the spot you want to put them. I put them on the ceiling over my bed! 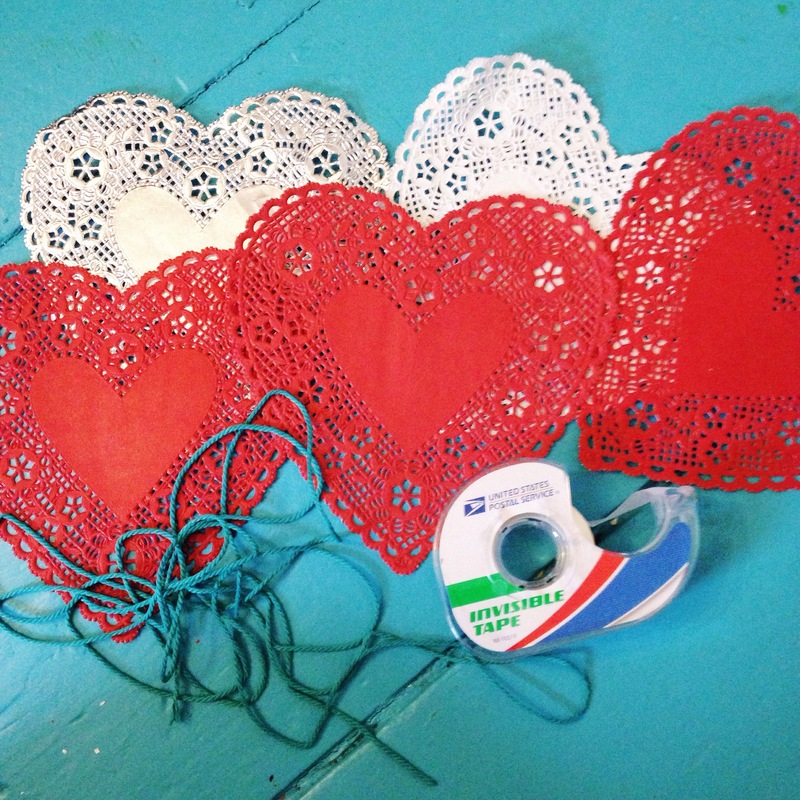 Tape them, and then cut the extra twine off the end so it doesn’t hang down. Here’s the final product! Hope you guys enjoyed the first craft on my blog! 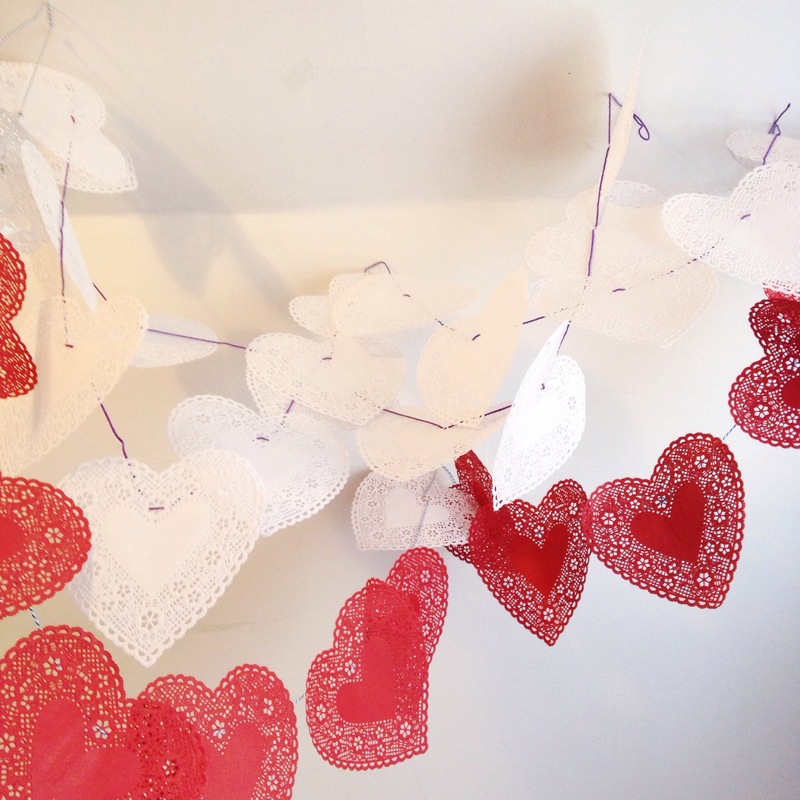 If you happen to try this out, post a picture and use the hashtag #StudioJosieDIY and tag me! 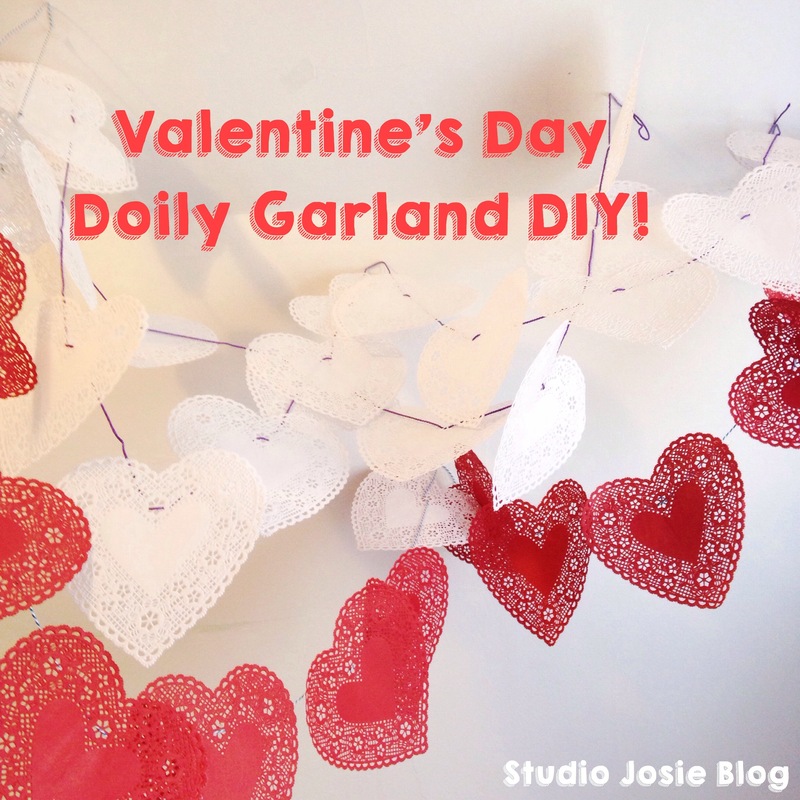 Author thestudiojosiePosted on February 5, 2016 March 12, 2016 Tags Crafts, valentines day2 Comments on Valentine’s Day Doily Garland DIY!